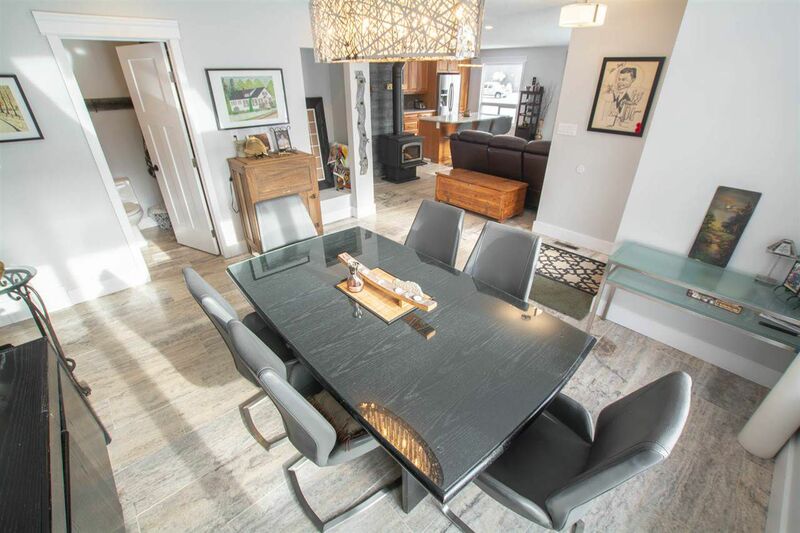 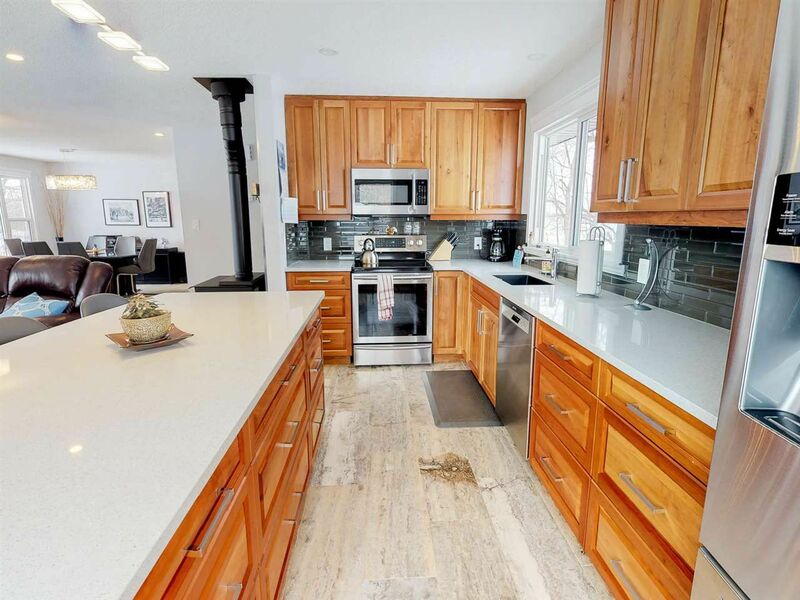 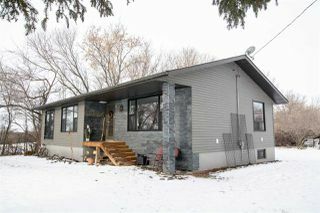 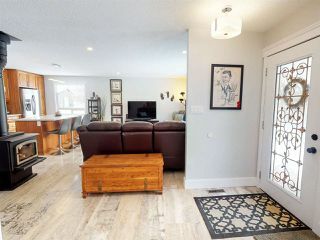 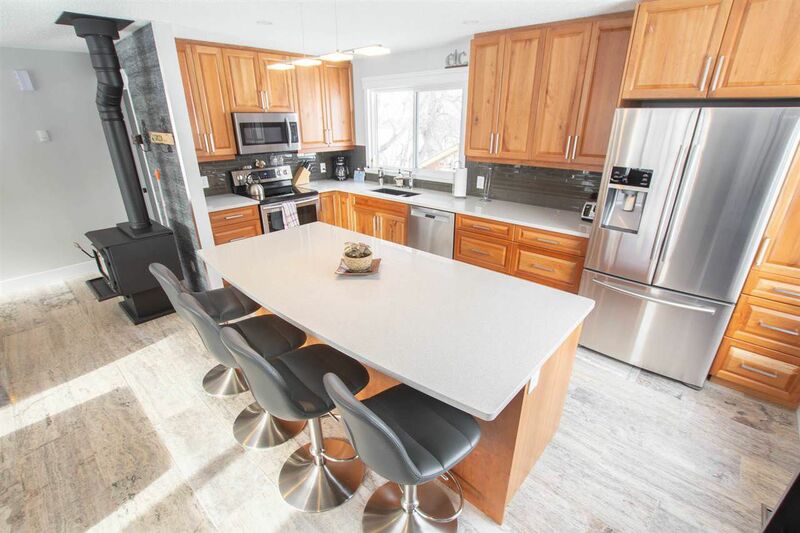 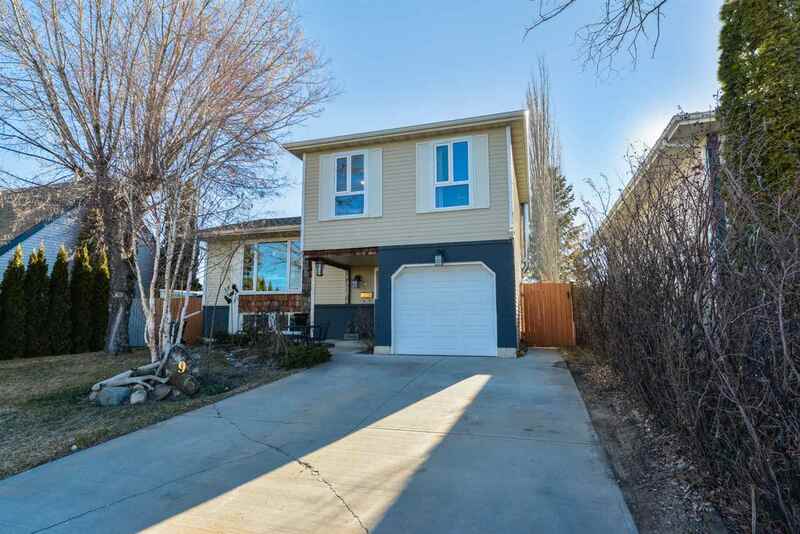 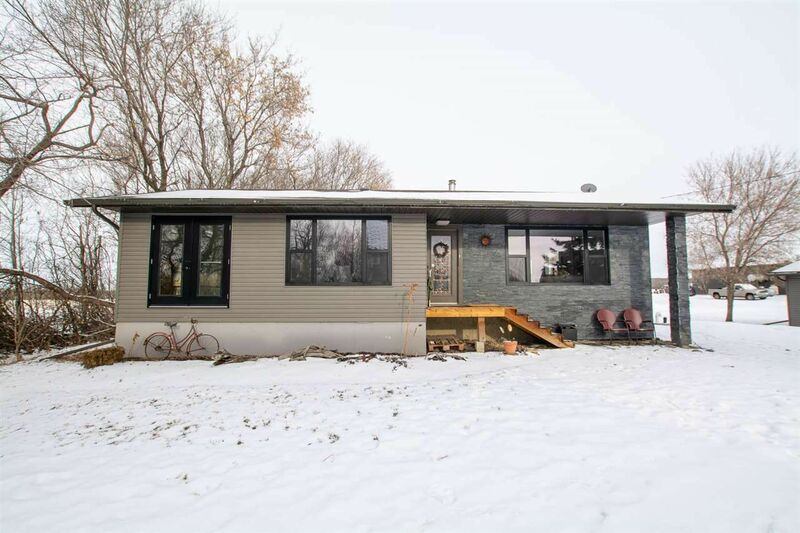 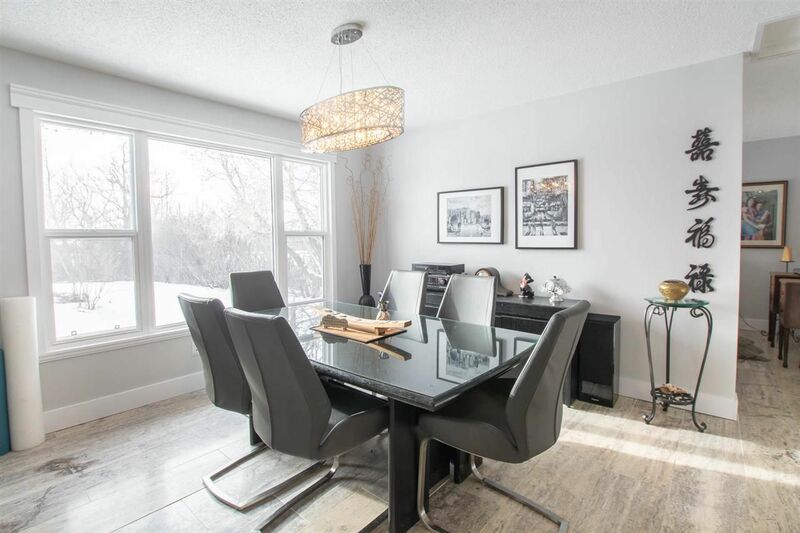 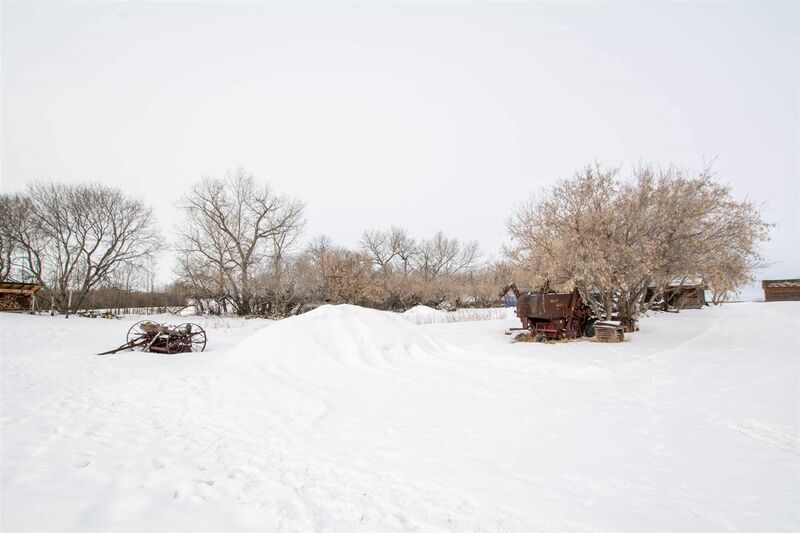 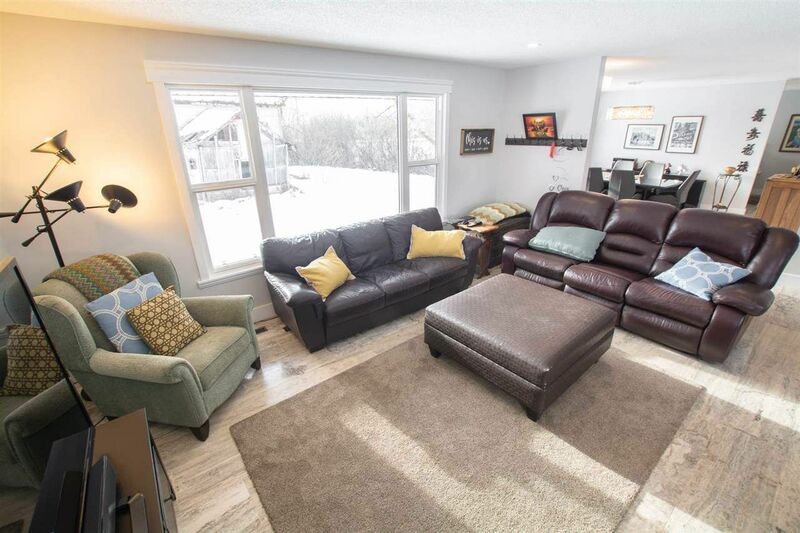 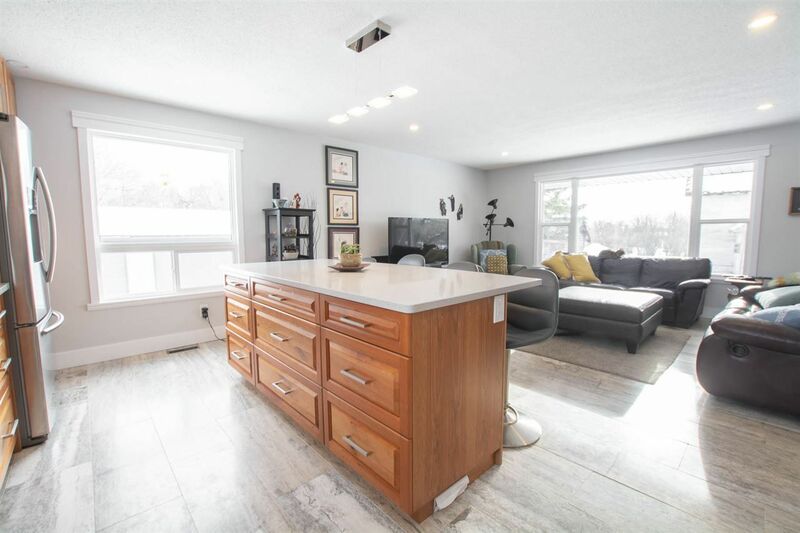 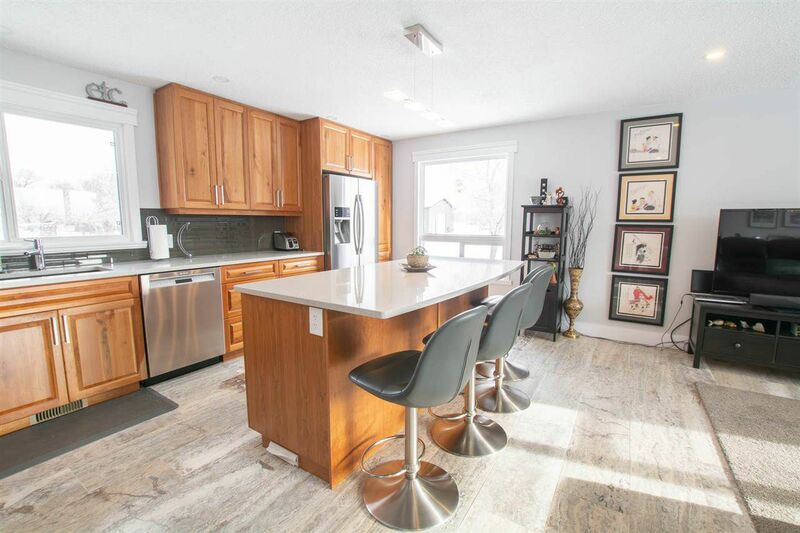 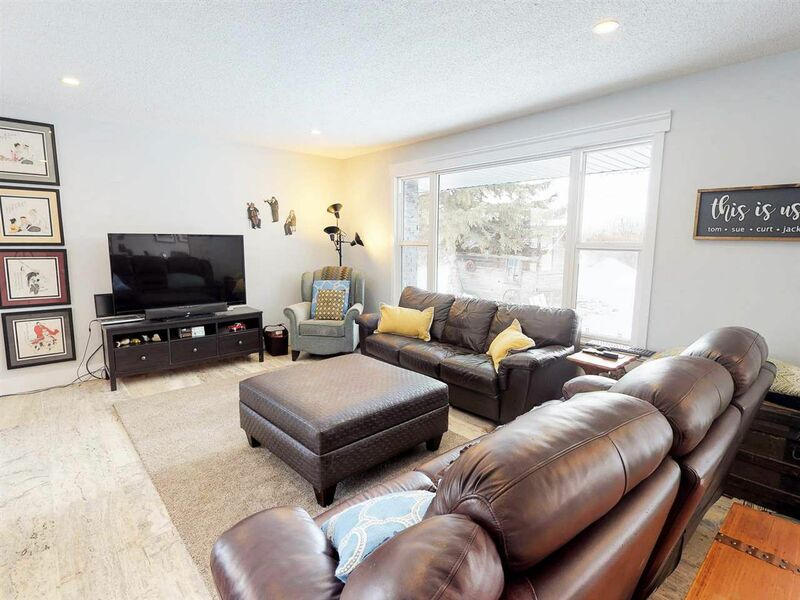 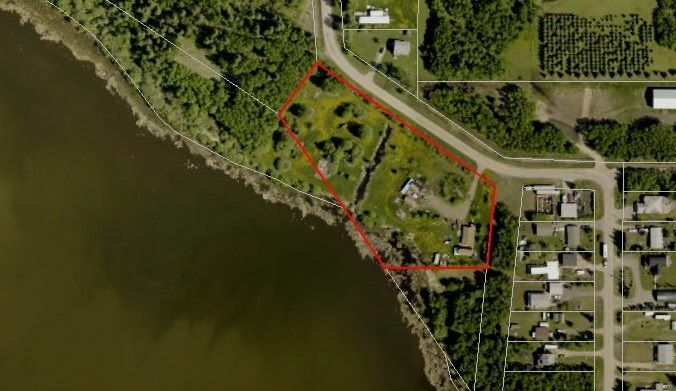 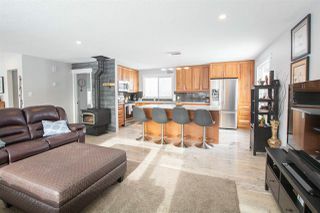 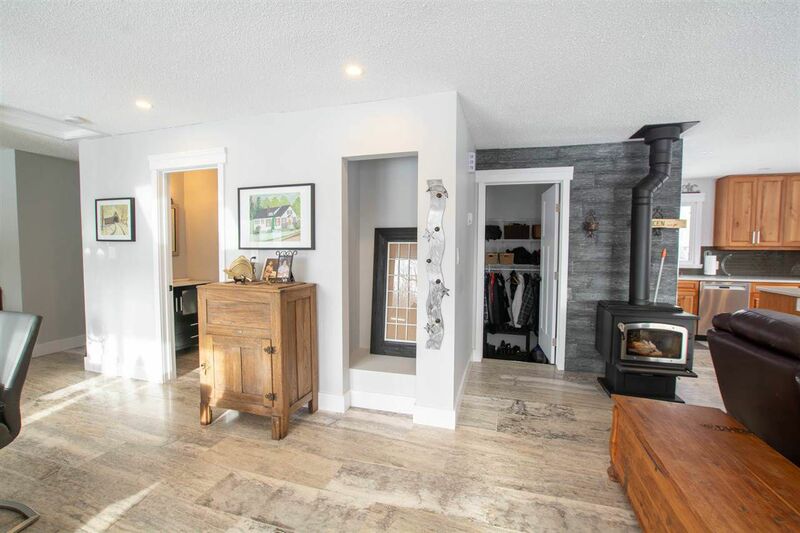 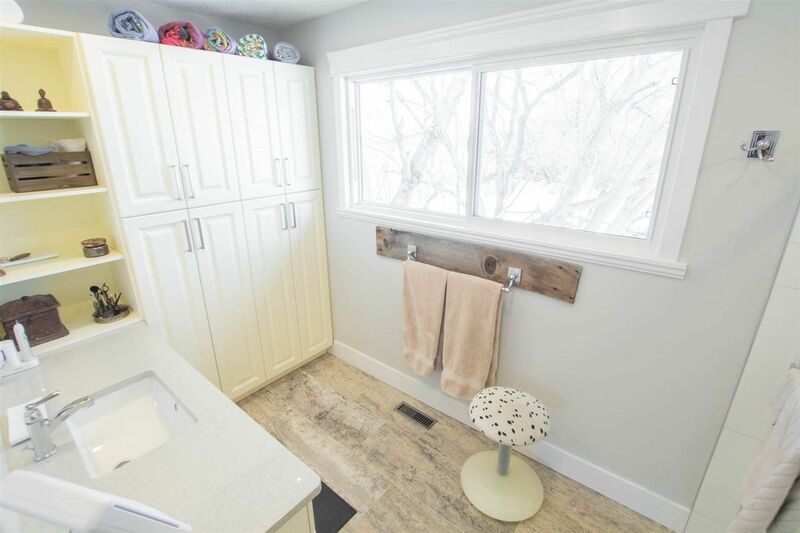 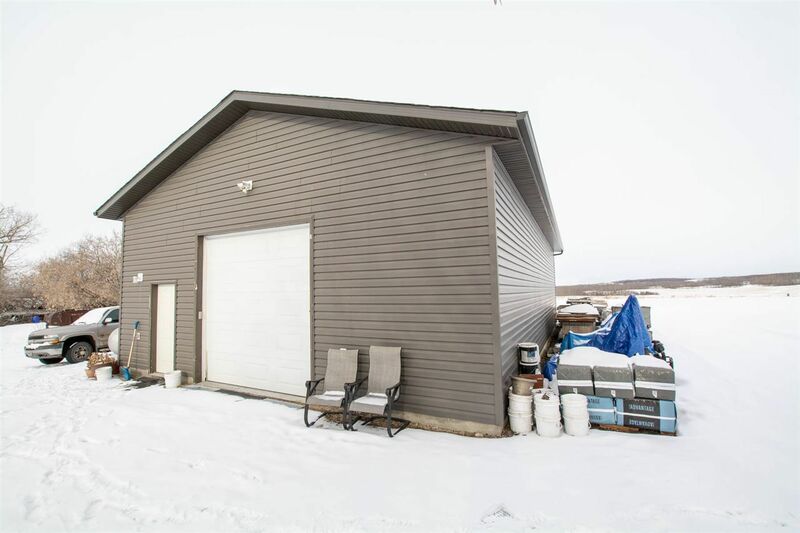 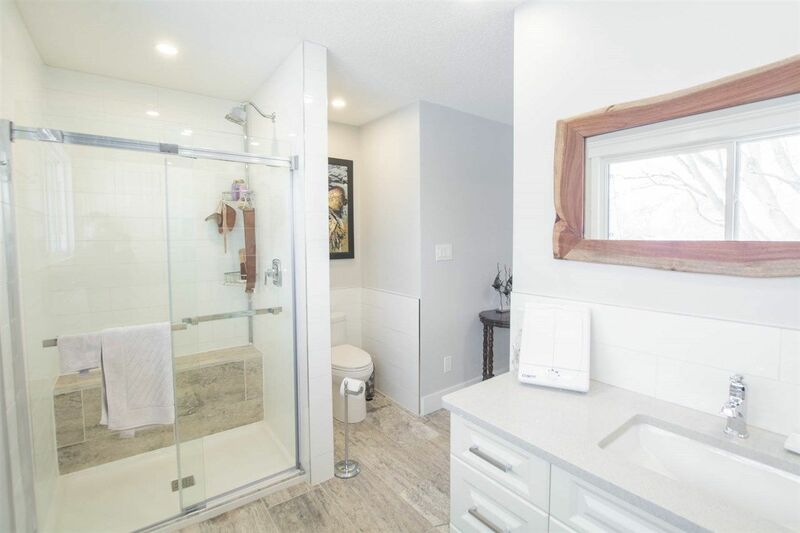 This full quarter section of land features a recently renovated (2017) 1100+ sqft bungalow! 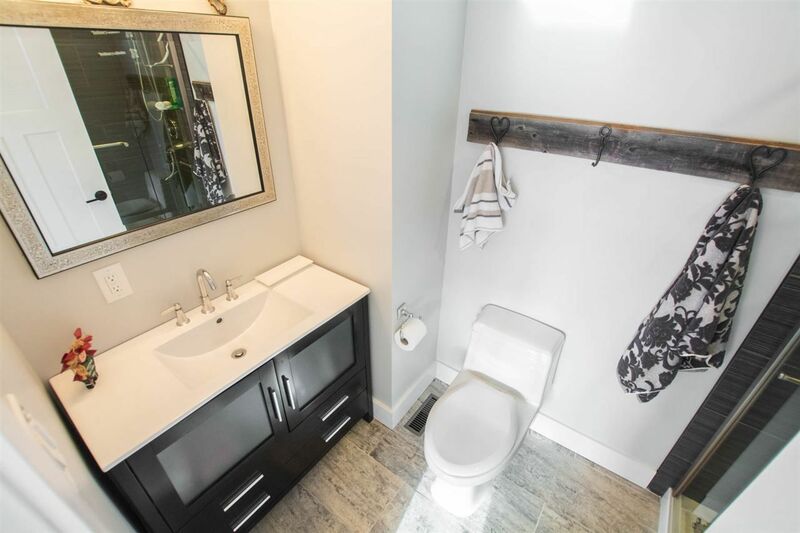 The one bedroom home features bright open living spaces, cherry wood cabinets, stainless steel appliances and travertine tile. Wood burning stove centers the main are between the living room and dining room. 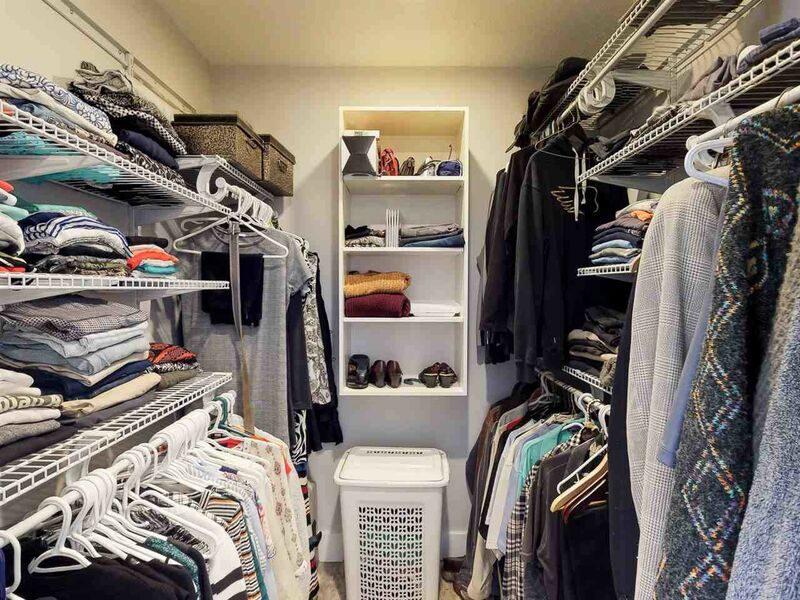 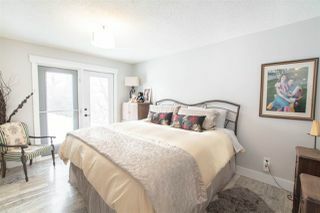 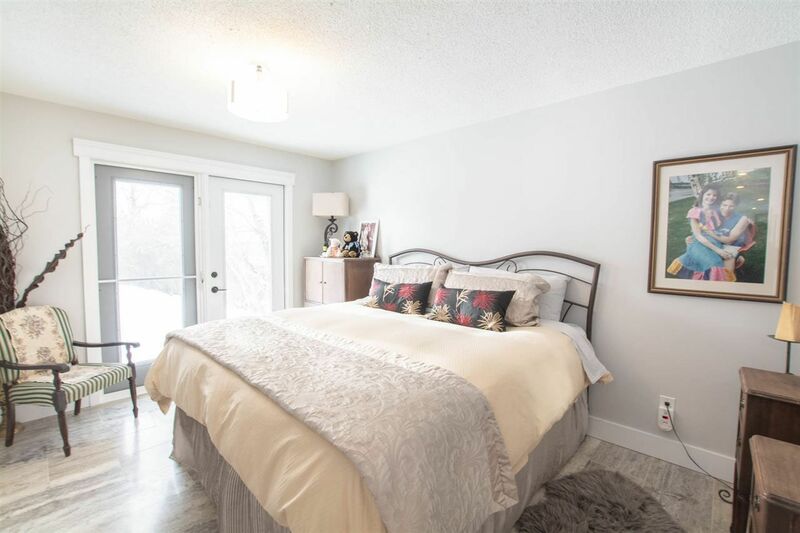 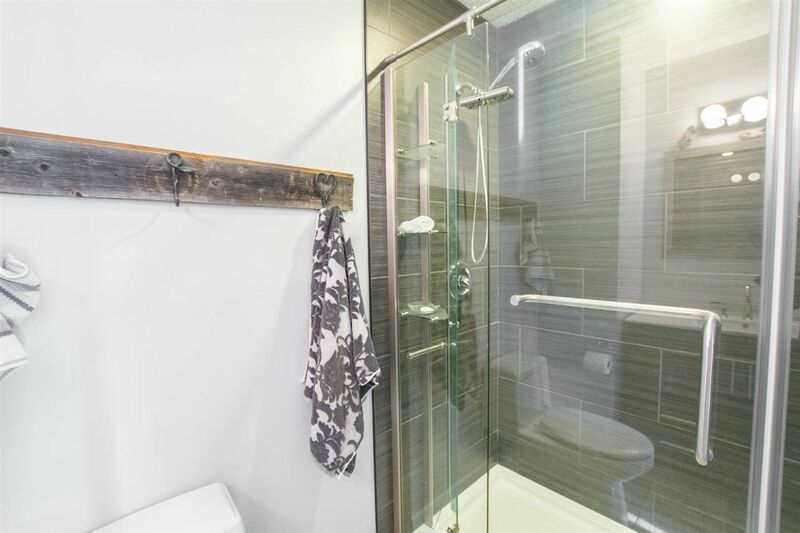 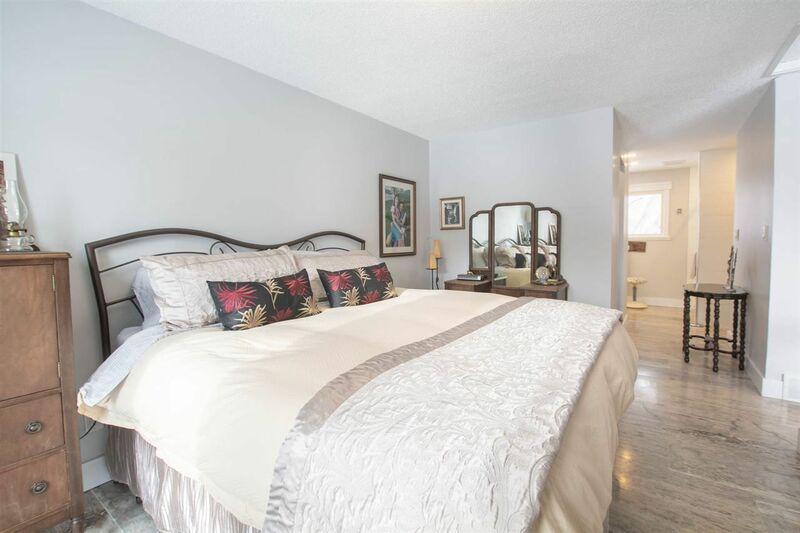 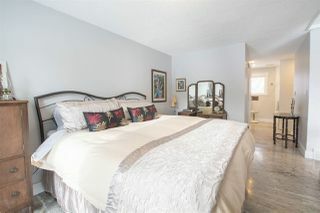 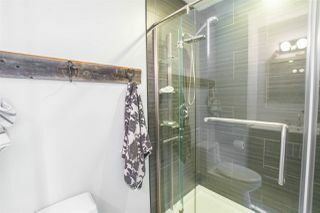 The spacious main bedroom is open to the walk-in closed and large ensuite with tons of storage. 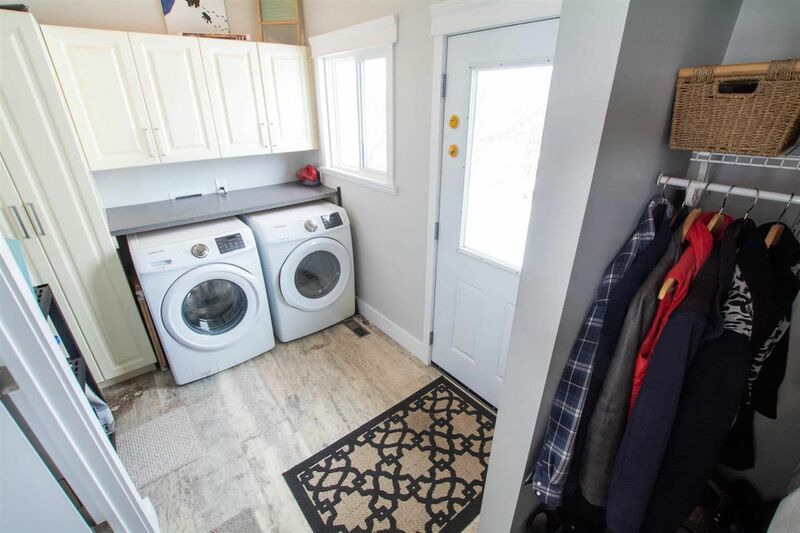 An additional 3pc bathroom, back door laundry space, open basement waiting for personal touches, vacuum system, new shingles, siding and all new wiring completes the home. 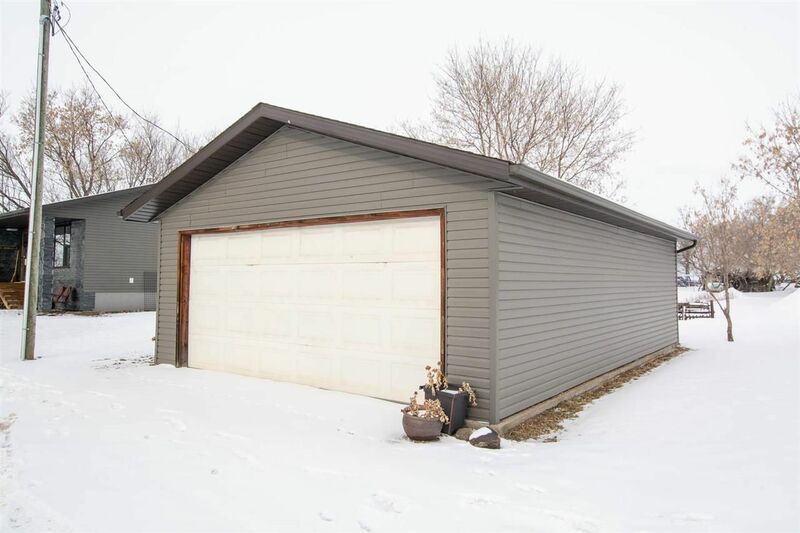 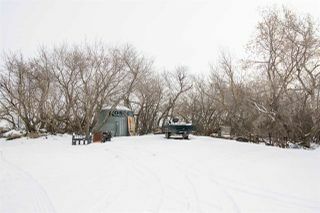 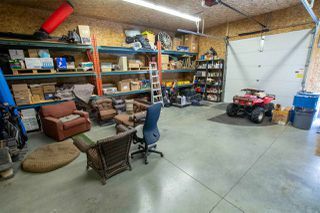 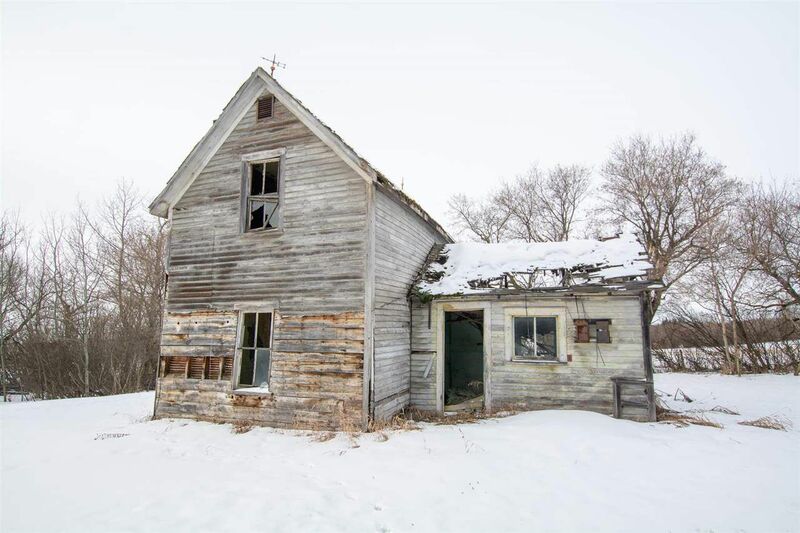 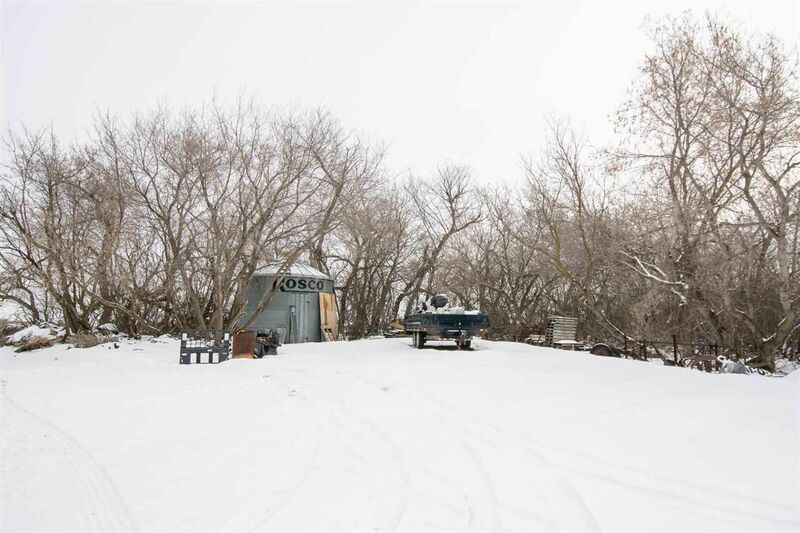 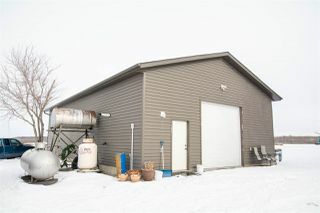 Outdoors you will find an insulated double detached garage, a number of older out buildings and a huge 30'x50' shop. 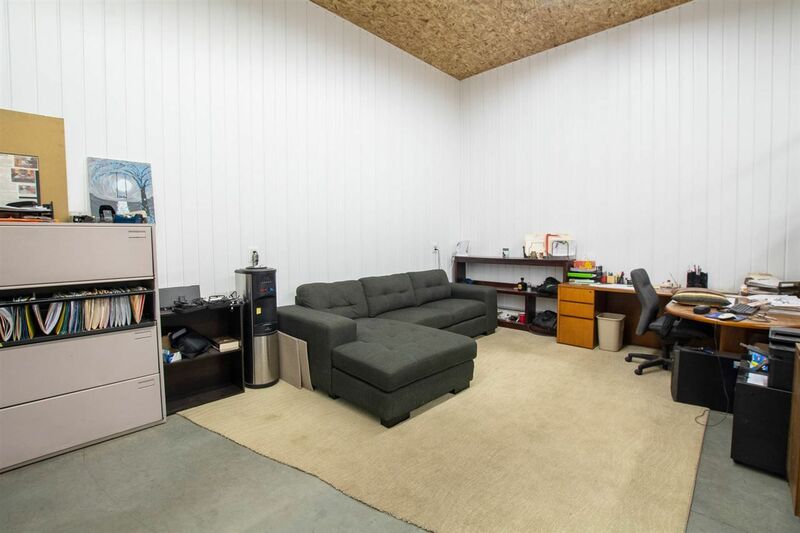 The shop built in 2011 features 12ft ceilings, in-floor heating, 100amp panel, plenty of storage and office space! 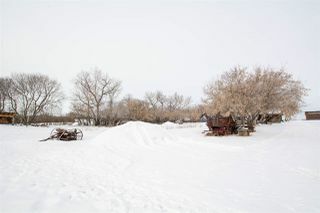 Driveway and parking topped with white crush. 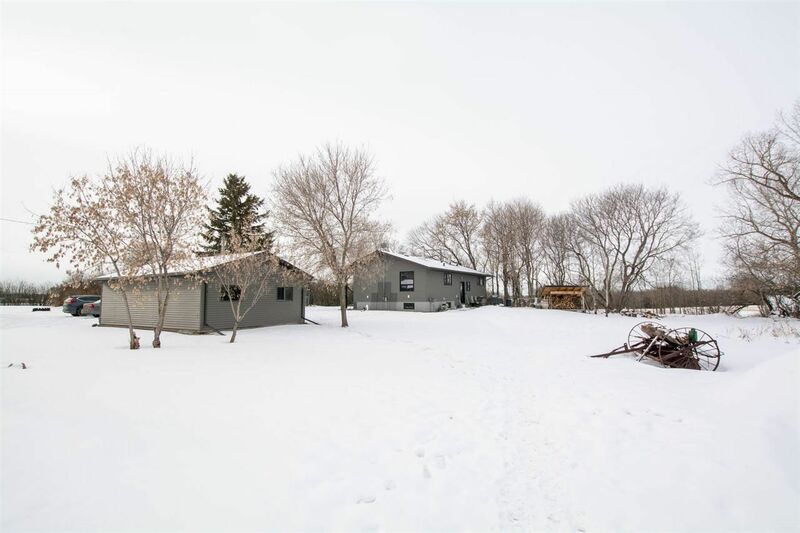 Beautiful rolling hills currently grain farmed, ready for subdivision or future development right off Hwy 16 just minutes from Sherwood Park.